By 2016, millions of employees around the country could become newly eligible for overtime pay due to a change in federal rules. Your first assumption may be that the rule change will mean bigger paychecks. But that may not be how it plays out for everyone. Today, the only way you're automatically guaranteed time-and-a-half pay after logging 40 hours a week is if you earn less than $23,660 a year ($455 a week). The Department of Labor is proposing to raise the threshold to $50,440 ($970 a week). It estimates the change could put up to $1.3 billion back in workers' pockets every year, said Labor Secretary Thomas Perez. 1. You'll start getting overtime: Right now, workers who make a little more than $23,660 and are given some managerial duties are considered "exempt" from overtime pay. Under the new rules, such low-paid managers would be reclassified as "non-exempt," so when they work more than 40 hours they would be compensated at time and a half. 2. You'll get a small raise. If you earn just under the new threshold, an employer may decide to just raise your base pay by a few thousand dollars to avoid having to pay you overtime, said Tammy McCutchen, a management-side lawyer with firm Littler Mendelson. 3. No more pay, but your hours could be limited. If you regularly work long hours but don't get paid overtime because you're exempt, you might be able to start heading home earlier. 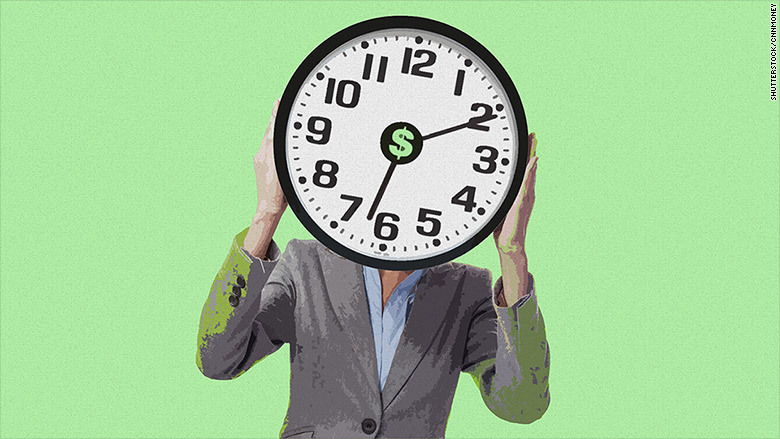 Your boss might just prefer to send you home after an 8-hour day, rather than pay you extra. Besides more free time for you, there is a potential upside for someone looking for a job. Your employer may choose to hire a new part-time worker to cover the extra hours you used to work. 4. You could see no change in hours or pay. Even if you become eligible for overtime, you may still end up working long hours but not get paid a dime more, because your employer could lower your base hourly pay to offset any overtime you'll be owed. Say an assistant manager makes $40,000 a year or $770 a week. And say she usually puts in about 50 hours a week. She will become eligible for overtime pay under the new rules, but her employer may decide to drop her hourly rate so that her pay still won't top $40,000, even with her 10 extra hours of work every week. But there's a big downside here: If she puts in fewer than 50 hours, she'd essentially see a pay cut because, unlike an exempt employee, she will only be paid for the hours she works. That may feel all kinds of wrong. But it is not illegal. The federal government can't tell employers how much they should pay their employees so long as they're paying at least minimum wage under federal and state laws, said McCutchen, who will draft public comments on the new rules for the U.S. Chamber of Commerce. Other potential effects: Sometimes companies offer less generous benefits to non-exempt employees than to their exempt staffers. So some workers who are reclassified as non-exempt under the new rules may find changes to their vacation accrual schedules and health benefits. Or they may no longer be entitled to bonuses or profit-sharing.